The Drop strainer from Viviana Degrandi is designed for the RigTig series by Stelton. 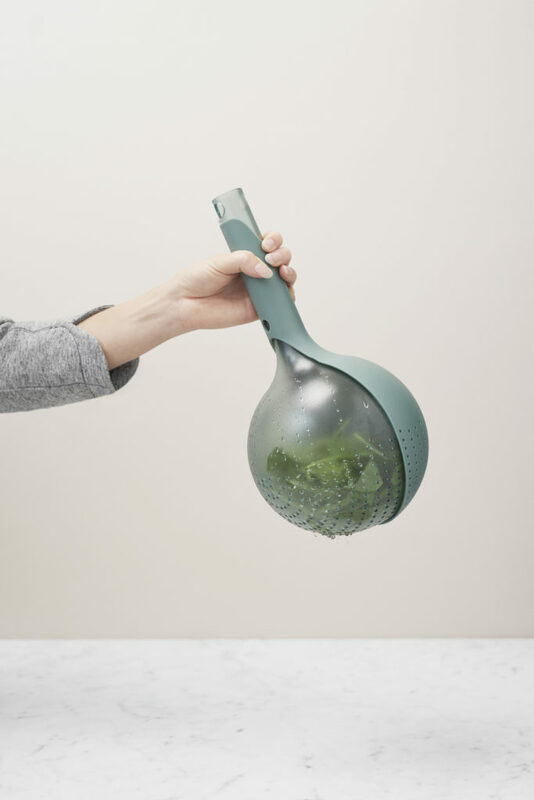 Drop allows to easily wash salad, vegetables or fruits in drop, by putting it into the ball and closing the colander by turning the handle. Water can be filled from the tap directly into the handle. Shake it thoroughly, turn it open and allow the water to drain. 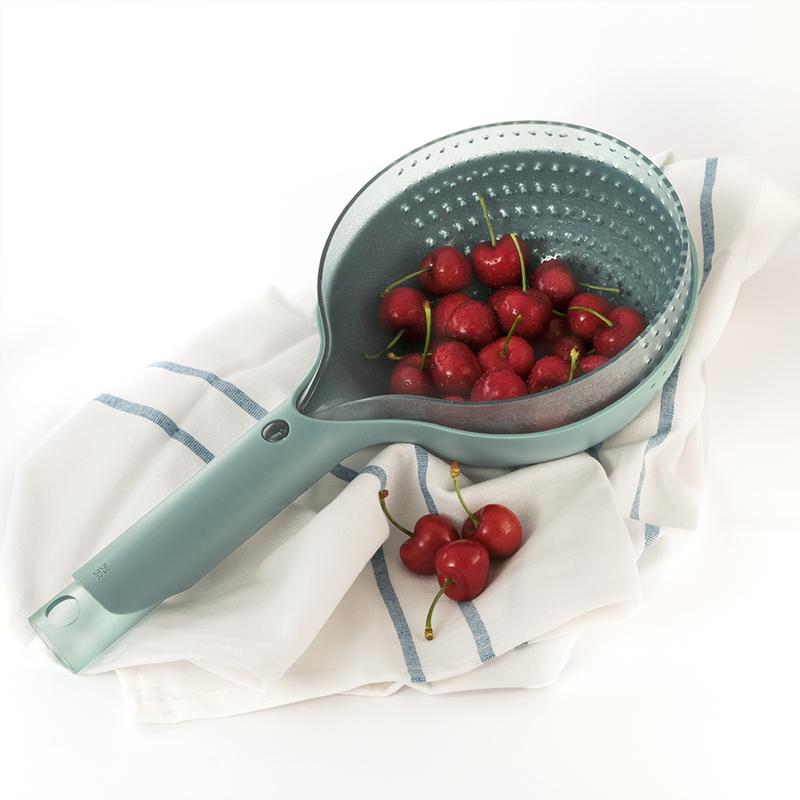 After use the colander can be folded and stored in a space saving way. 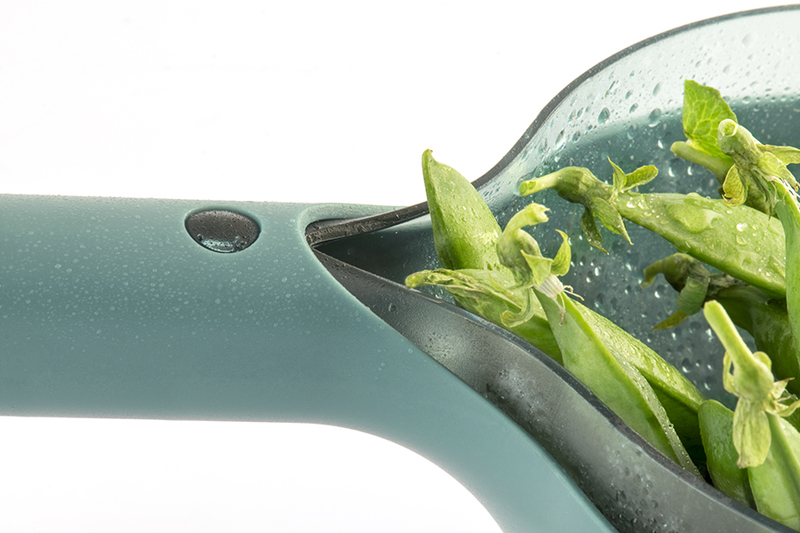 Drop can be easily cleaned in the dishwasher. The project won the Red Dot Concept Design Award in 2015.